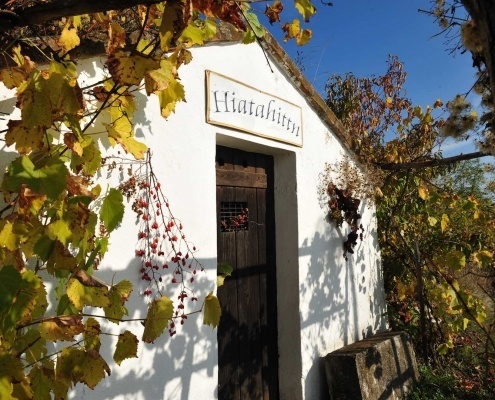 It emerges at the hamlet of Plank and terminates shortly past Grafenegg: the winegrowing region Kamptal follows a little river called the Kamp for just twenty kilometres. 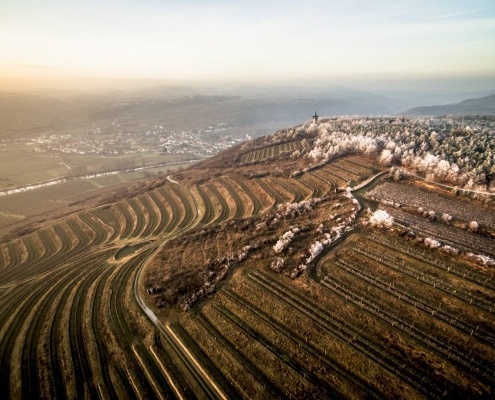 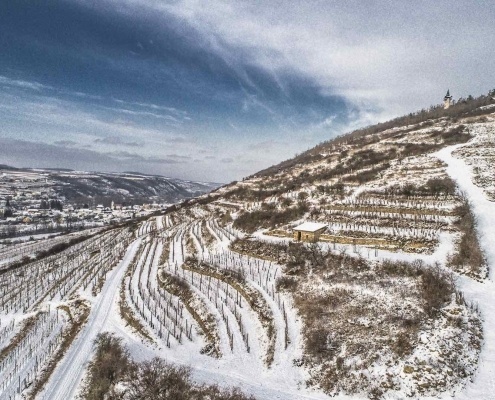 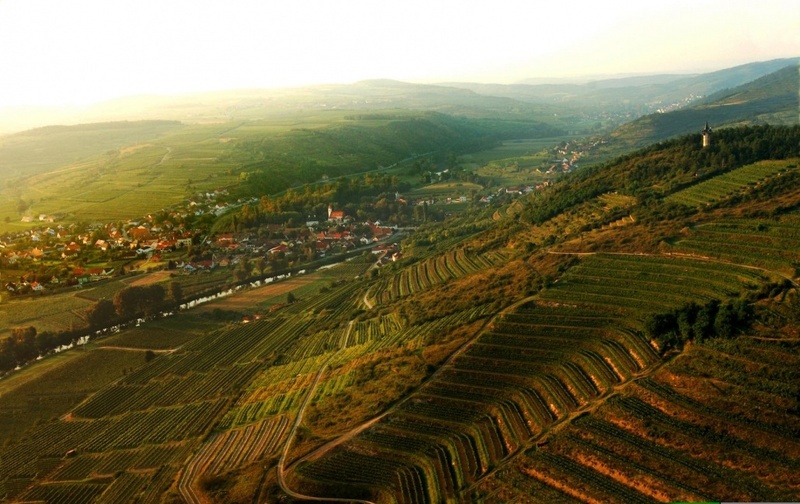 But the fact that are some 3,900 hectares of vineyards cultivated in the Kamptal (Tal = valley) already gives the indication that we are encountering a highly concentrated wine culture. 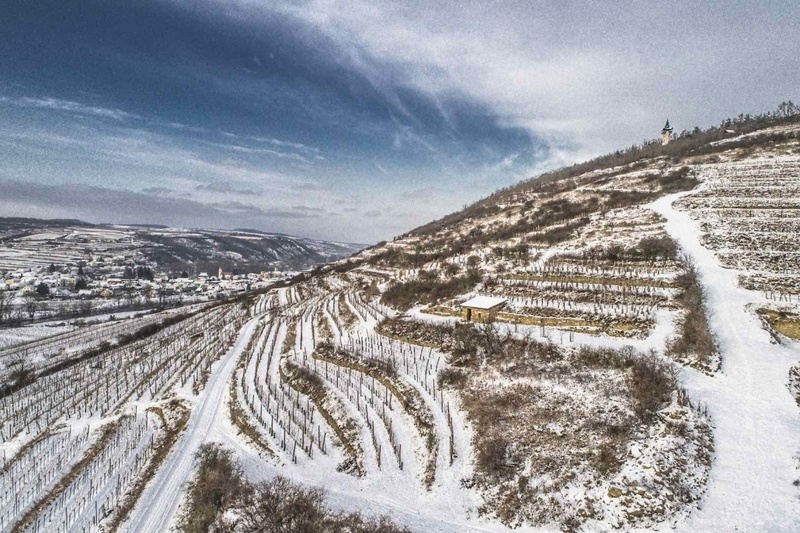 Wine villages tucked away in quiet side valleys – and then there’s Langenlois: in many respects one of the liveliest viticultural communities in all of Austria. 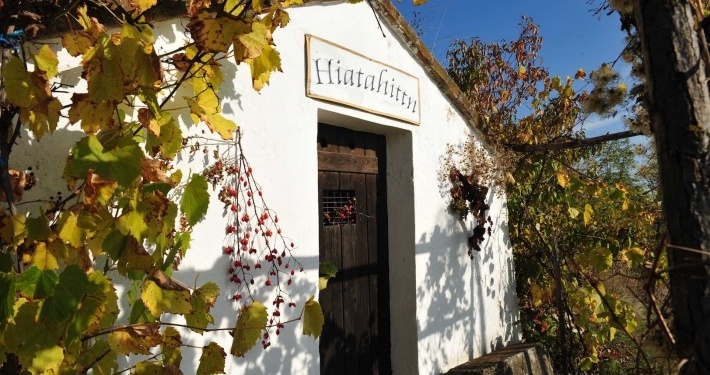 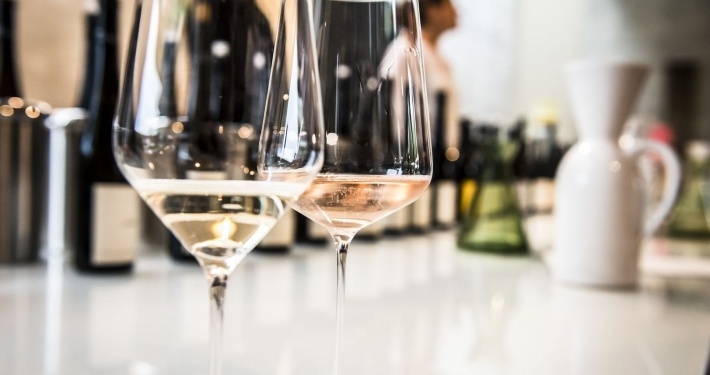 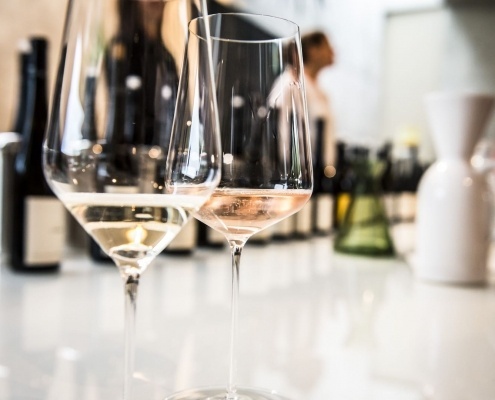 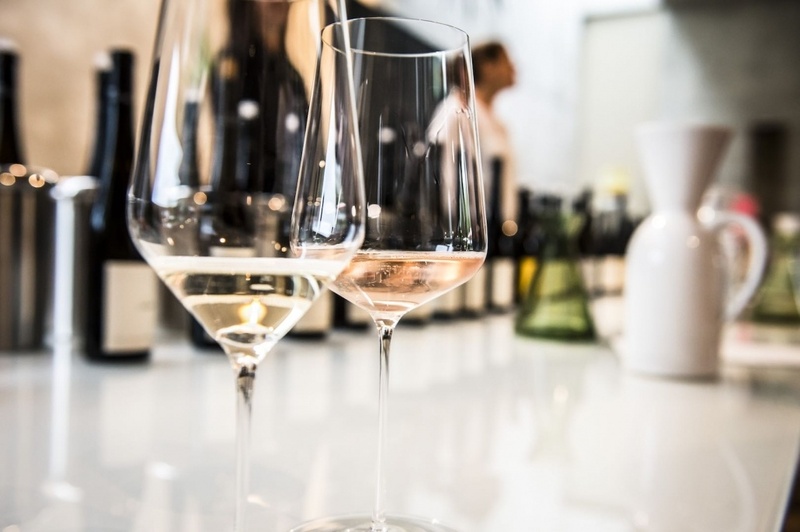 Heurigen – these wine taverns familiar only to insiders, which are open for business just a few days out of the year – and a wealth of elite winegrowers, whose bottles are found in the best restaurants all the way from Vienna to San Francisco. 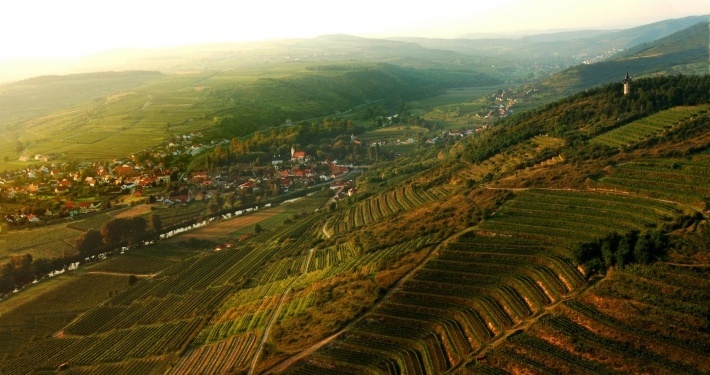 Wild and gentle, hilly and flat, rural and cosmopolitan: the confluence of opposites makes the Kamptal what it is. 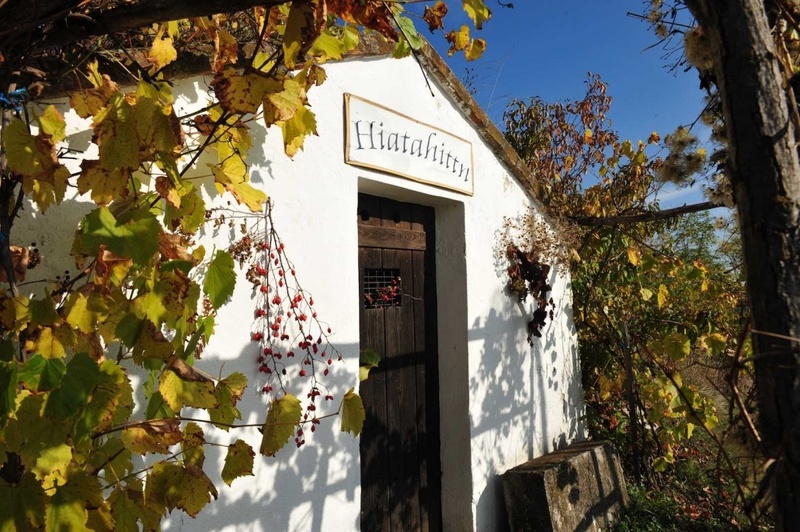 Kamptal traditionell: Eine Hiatahittn in den Weingärten von Strass. 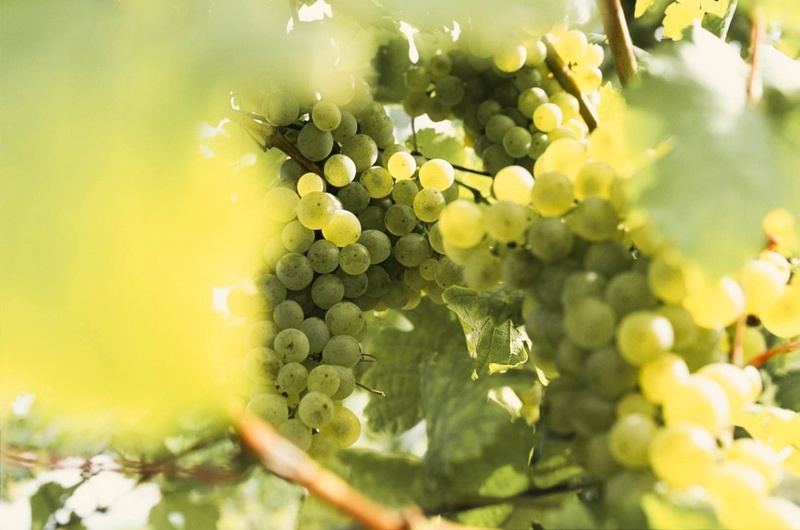 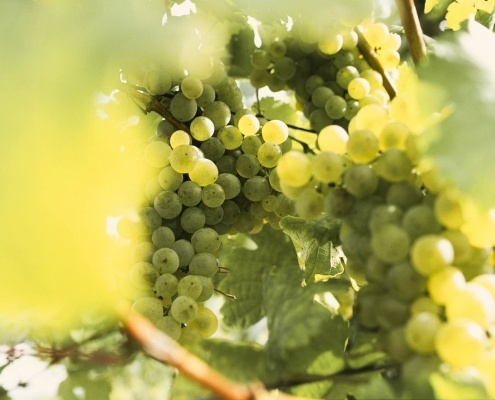 The marquee players in the Kamptal are the graceful and long-lived Rieslings and Grüner Veltliners. 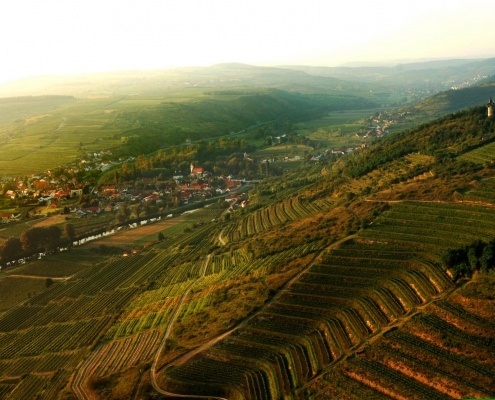 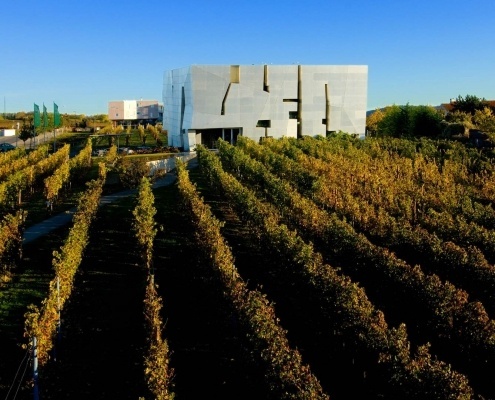 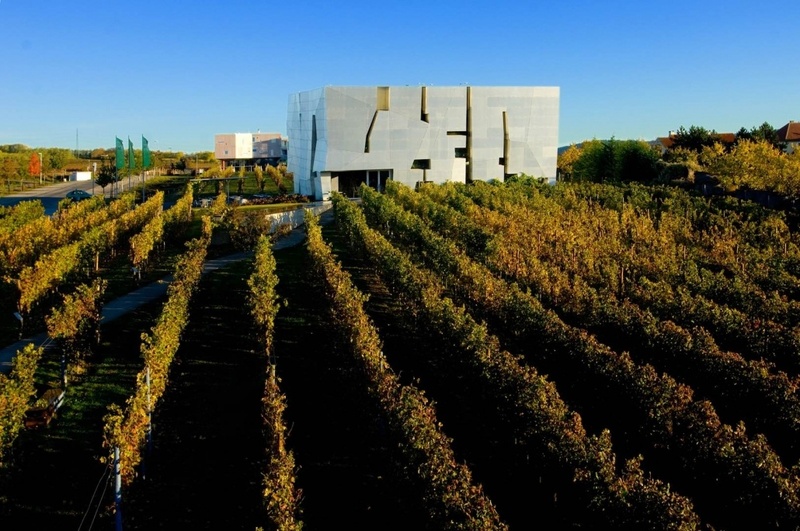 The red wines are also noteworthy here in the valley, the friendly Zweigelt and the sophisticated Pinot Noir, which yield fruit-forward and well-structured wines, thanks to the dynamic tension that exists between the warm climatic influence of the Pannonian weather system that prevails to the southeast and the stimulating climate of the neighbouring Waldviertel.